When Metabond product comes into contact with metal whilst under pressure it creates a chemical reaction which modifies and refines the metal surfaces. Under an electron microscope, the surface of metal looks rough, but by using Metabond, the surface is applied with a microscopic ceramic film that creates an incredibly hard and very flat smooth surface which can withstand the damage usually caused by friction. 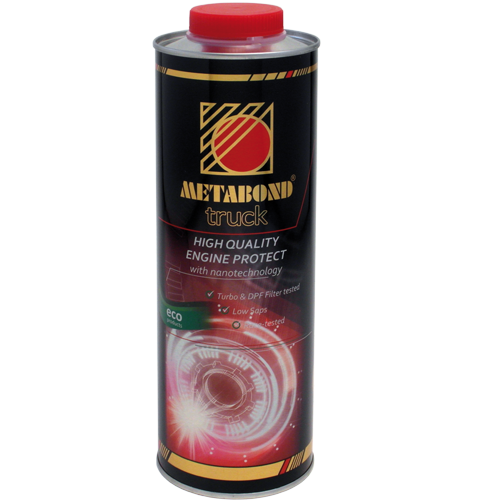 Even under extreme stress, the Metabond surface treatment ensures ideal conditions for the engine oil / lubricant. The life span of the engine increases substantially because of the significant drop in friction (min. 60%) and the corresponding reduction of wear and tear to which the motors components are subjected. Also, there is a very noticeable reduction in the energy consumption of the engine as it operates which results in considerably more fuel efficiency. Both the operating temperature and the noise level produced are noticeably reduced. All the freely moving parts achieve a recognisable increase in performance. In new engines and equipment the lifespan can achieve as much as a three fold increase in operation. As Metabond works it’s way into the metals that rub against each other, it refines the surface to surface interface and prevents the difficulties associated with cold starts and ensures that for initial starting, there is added protection until the oil pump has pressurised the system.. Metabond can be added to every synthetic or mineral based lubricating oil or grease.. Oil treated with Metabond allows the oil change interval to be longer than an oil without the additive. This longer interval reduces the burden on the environment, yet still maintains the performance advantage. 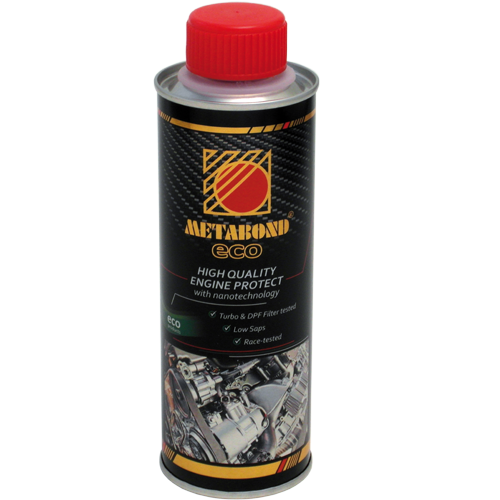 The oil sludge build up and metal pollution normally associated with engines run without Metabond is significantly reduced using Metabond which also considerably reduces harmful gases. We guarantee that with appropriate use and application, you will get all the stated performances advantages without any adverse effects when using Metabond products.